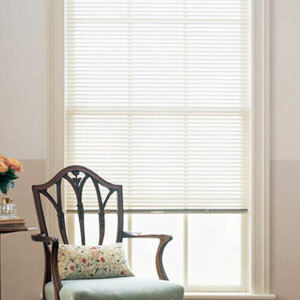 Our ½” aluminum micro mini blinds are built to fit into tight spaces. The 1” x 1” steel top rail is the smallest in the industry and is built to last. Micro mini blinds from Blinds Online offer a very sleek contemporary look that will fit any décor at home or in the office. All of our aluminum micro mini blinds are custom made to your specifications and are available in 14 designer colors. When ordering metal mini blinds from BlindsOnline.com customers receive their product in an industry-leading turnaround time. Typically, we’re able to complete the shipping process in 5 days or less. This means customers won’t have to wait weeks for their mini blinds to arrive like they would when ordering through other online vendors. Each of the aluminum micro mini blinds within our wide-ranging catalog can be customized to the unique sizing parameters of the customer’s home. 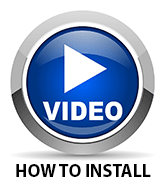 This means they achieve a precise fit for blinds that suit the environment perfectly. Our team also has comprehensive experience within the marketplace. 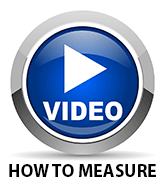 This means we’re adept at meet unique sizing restrictions and ensuing that the product quality remains at its peak best ready for delivery to the customer. In addition to our custom sizing options, we also offer our aluminum Micro Mini Blinds in a complete array of designer colors. With 14 color tone options to choose from, customers can make the ideal selection for integration within their current décor. We’ve developed a color catalog designed to meet the needs of those with discerning tastes. Homeowners can contact our team directly to learn more on the full array of design options we provide on our aluminum micro mini blinds. Our selection of colors in our mini blinds lets us get some insight on popular trends in home decorating. 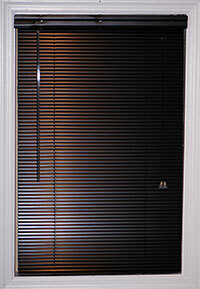 A major trend that has been occurring recently is the rise in popularity of black mini blinds. Our satin black mini blinds are wonderfully stylish for rooms that you need a splash of dark contrast or a complement to dark wood tones. Black mini blinds make a great choice for kitchens, dens, and even "man caves". If you're not sure about black mini blinds in your home, we offer free color samples of our black mini blinds, so that you can ensure that they'll fit perfectly with your decor. 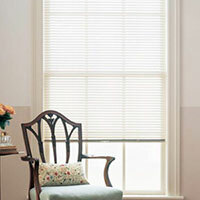 Give our black mini blinds a try, with our guarantee on our products, we know you won't be disappointed.